The school library was submerged with flood water. The books were practically damaged beyond recovery, and structural repair became an urgent matter. Through benevolent donors from Switzerland and Japan, we were able to collect hundreds of new books. While reconstruction of the library building is ongoing, we are appealing for more book donations; old and new, especially the encyclopedias that greatly help our students in their research studies and projects. Thanks to "Fabulous Friends Foundation" we could build new kindergarten classrooms and bathrooms but running out of funds to cover the interior furniture and fixtures. Any form of donation relative to the needs would be greatly appreciated. The automotive building was completely destroyed by the impact of the typhoon. Through donations from Switzerland, the construction works would be completed in September. We are so thankful for the great help that made the rebuilding possible in order that technical trainings of the students be prioritized; geared at helping the massively damaged city of Tacloban back into shape again. For this reason that we appeal for donations of mechanical tools and engines that students can start training with. 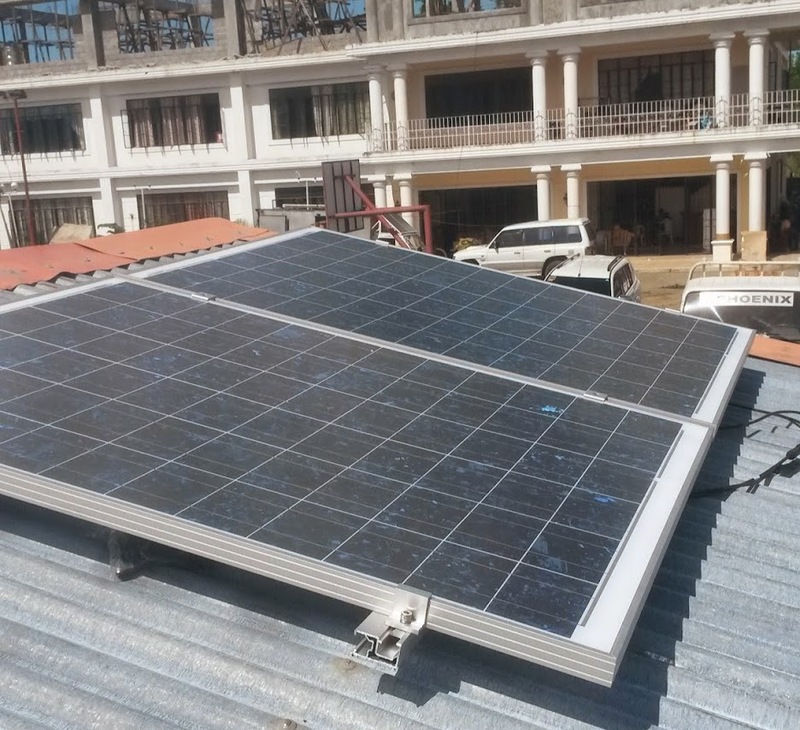 We have installed solar panels on a roof as a test run for a possible expansion and to save cost of electricity and generator. Our goal is to be able to completely switch to solar energy. To be social responsible and help reduce carbon emission. After the devastation of Supertyphoon Yolanda (Intl. Haiyan), many of our books were destroyed and washed out. We are constantly in need of new or used educational books such as text books in science, math, english, gazarettes, literatures and magazines. Anything related to build a library again. Tablets with e-books are also very much welcome. Last 8th of November 2013, super typhoon Yolanda (international code name: Haiyan) raced through central Philippines. More than 7,000 people to date are confirmed dead. Most of these deaths came from Tacloban, the hardest hit area and considered as ground zero for Yolanda. Yolanda created storm surges reaching 8 meters high along the coastal areas, causing the most casualties. Cars were piled on top of one another, cargo ships ended up on villages, and some areas wiped out to become a veritable wilderness. After the devastation of Supertyphoon Yolanda (Intl. Haiyan), many of our tools were destroyed and washed out. We constantly in need to upgrade. 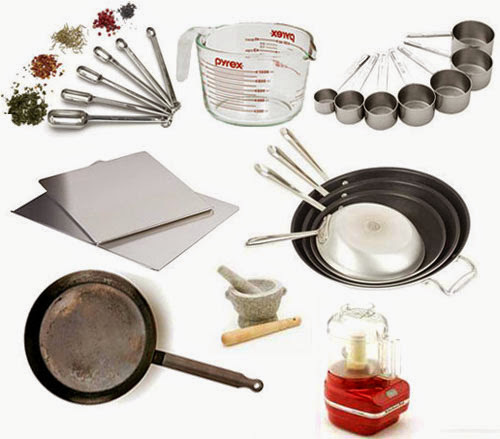 We need new and used functioning tools, equipment and materials. After the devastation of Supertyphoon Yolanda (Intl. Haiyan), many of our computers were destroyed and washed out. Not only with the demand of fast changing technology we constantly in need to upgrade our equipments in order to provide students up to date knowledge. We need new and used functioning computers, laptops, tablets, projectors, printers and licensed softwares are welcome. 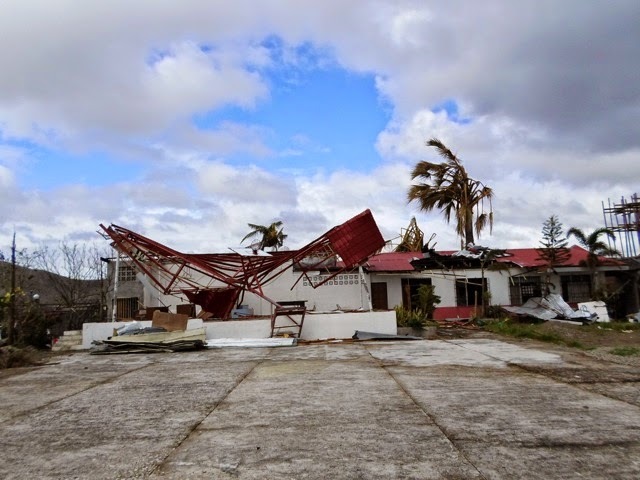 The brunt of typhoon Haiyan with sustained wind of more than 350 km/h tore off the roof of the main building, sending its debris beyond salvation to about a kilometer radius. Estimated cost for the reconstruction of the third floor roofing roughly amounts to 150,000 CHF due to the escalated prices of construction materials following the calamity. With the prevailing scarcity of financial resources, this reconstruction project is shelved for the future until funding warrants. The covered walk that have always protected the students during rainy season was badly damaged by debris brought about by the strong wind. We plan to rebuild this students’ health protection as soon as we find available funds. The school stage equally damaged by the typhoon needs immediate restoration for the school activities. Our limited funds make us appeal for kind-hearted donors to augment reconstruction of our school stage. The culinary arts building was not spared from severe damage inside out. We target to rehabilitate the building within three months so that our young cooks, bakers, and waiters could go back to the usual learning routine. We installed new fences to protect children from crossing the street while the cars are passing. We also painted the playground. The school canteen was severely damaged. All the plates and glasses were broken, the roof lifted up and blown away. We had to rebuild the canteen and purchase new tableware. This is the most sought place around the school campus by students to relax and seek shelter from during rains and hot sunny day. We are making this a priority project to make the shelter for everyone available again. We have installed solar panels on a roof as a test run for a possible expansion and to save cost of electricity and generator. Our goal is to be able to completely switch to solar energy. The common sight of parents with kids in tow where debris and dead people loiter was deemed enough to traumatize young minds. 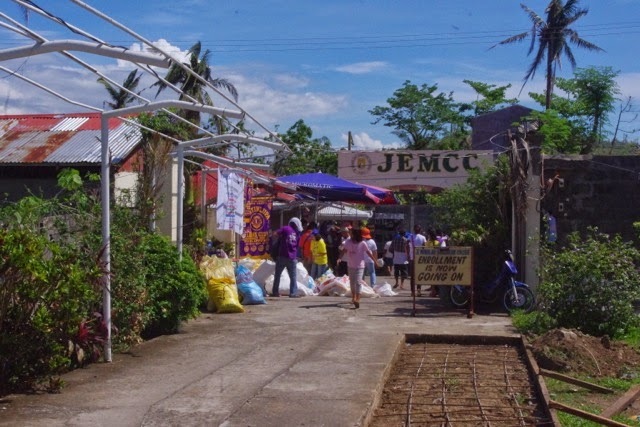 In our effort to help out parents ease some burdens off their shoulders, the school opened a temporary daycare center to help displaced families de-stress their traumatized young kids, and while their young were at school, the parents had a space to organize whatever was left of their belongings without the worry of tagging children along. The daycare services provided lasted until Christmas of 2013. 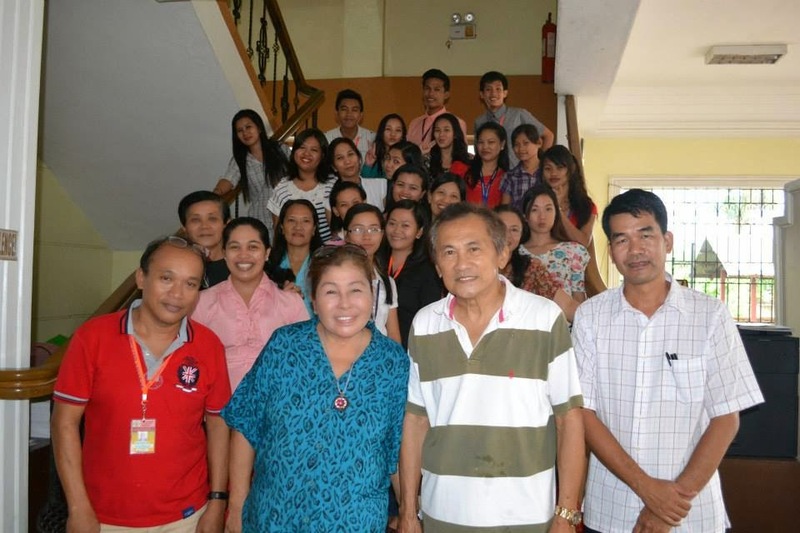 Financial assistance to administration personnel, faculty and staff who were victims of the calamities. The cleaning of debris was inevitable. 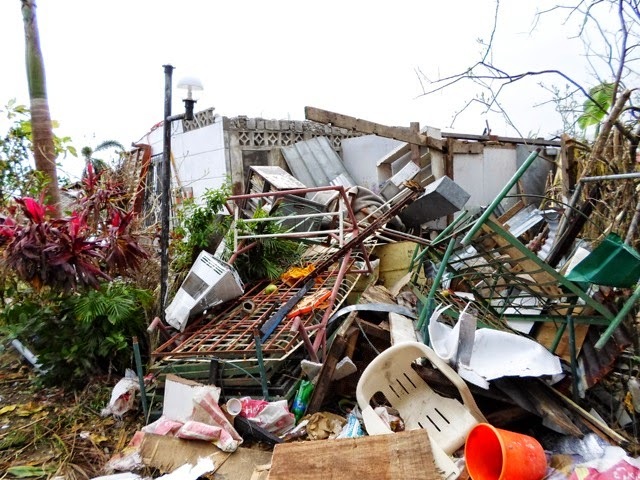 The whole city was under a 1-3 meter thick pile of debris. Our first initiative was to hire workers and trucks to remove the piled up debris inside school campus with hope of salvaging some usable materials. Unfortunately, most of the materials found practically qualified as garbage. The positive side was the fact that we didn’t have any casualty; a blessing in the wake of calamity. 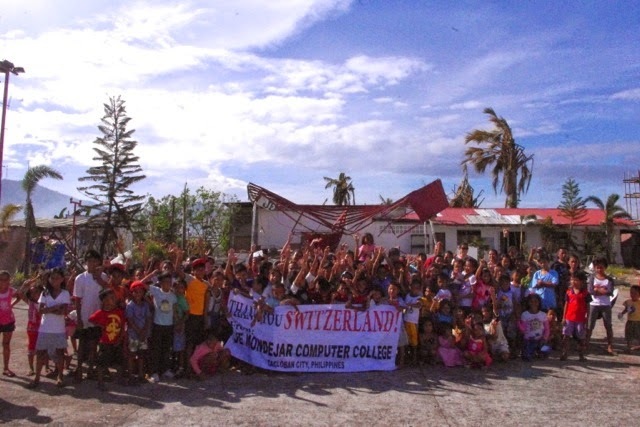 Our computers were destroyed from the supertyphoon Haiyan. To function again as a computer college, we need at least 30 new computers so the students can learn again. Buying a truck was a necessity to transport debris from clearing works and transport rebuilding materials. Two weeks after the killer typhoon hit the region and seeing the magnitude of damage on electricity, immediate power restoration was deemed far possible so we purchase a 30 KVA Generator set to enable us do some minor repairs within the campus day and night. A politician who assured to bring back electricity in time for Christmas was never realized until late April that connections were restored within our school area. Administration officers and staff hold office in this building.